A style so classic you will recognize it instantly, this beautiful set will fill your living room with joy. Each piece is crafted for optimum comfort and fashion. Furnish your space with the best of modern classics. 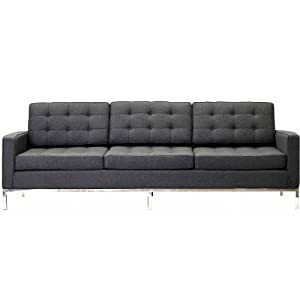 Overall Dimensions: 31"D x 90"W x 32"H Arm Height: 23" Seat Height: 16" Seat Depth: 21"